The New England winters play tricks on the mind and cause residents to hatch and execute ideas that the less vernalized folks of the Mid – Atlantic would only dream of. My father decided one winter that SKATER, his beloved Norseman 400, would look and sail better if she had a sugar scoop. Sounds simple right? It is not. After calling West Marine to confirm that they did not have one in stock, the decision was made to build one from scratch. It would take pages to explain the design process and the hours of head scratching that went into the plan so I will only attempt to explain my favorite part. 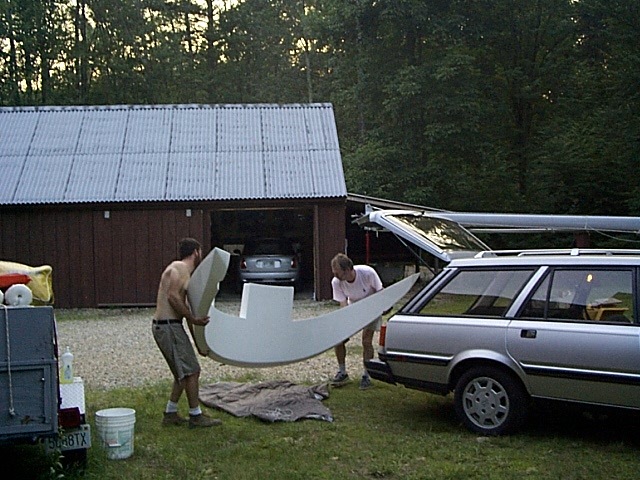 These photos show the finished scoop being installed by yours truly and my father, CF Horton Sr., one early spring day circa 1999. 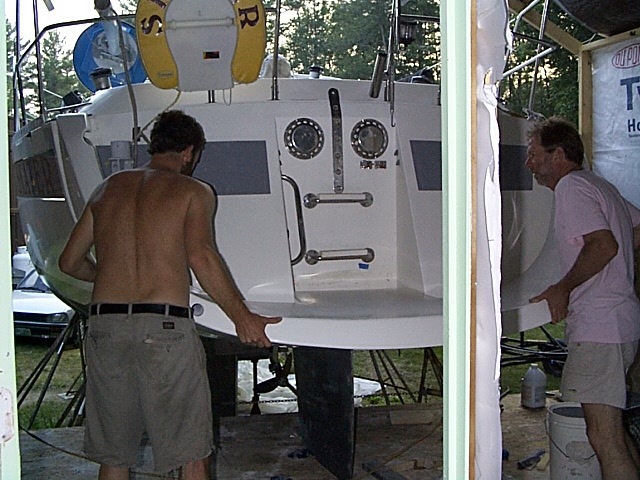 After prepping the transom and dry fitting the scoop, it was commitment time. We buttered up SKATER’s after sections with west system epoxy, said a few prayers under our breath and mushed the scoop into place. After we had positioned and bolted the scoop and cleaned the oozing epoxy from the joint, I remember saying “well dad, I hope you like it”. I don’t remember a time now or since of ever seeing my father so nervous. Epoxy is forever. I don’t think the yachts designer could have done a better job and she sails faster and looks better than ever. Maybe those winters aren’t so bad after all. 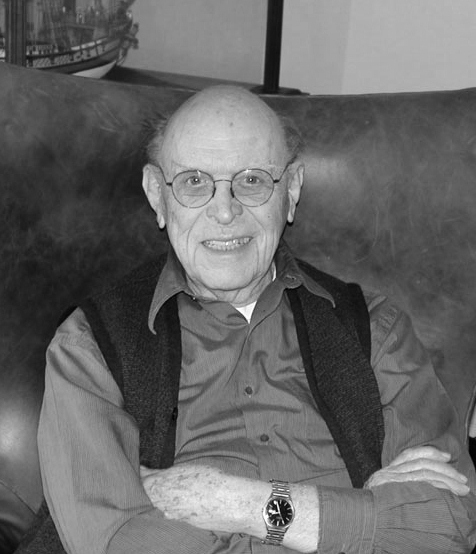 “Thomas Gillmer was born in 1911 in Warren, Ohio and became interested in ships at an early age. After graduating from the U.S. Naval Academy in 1935 he served on light cruisers in the Pacific and Mediterranean. He became an instructor in naval construction, damage control, and marine engineering at the Naval Academy during World War II and eventually became chairman of the naval engineering department. In 1967 he retired from active teaching at the Academy and began to devote full time to the design of yachts and ship replicas. Some of his most noted yacht designs include Blue Moon in 1946 followed by the Southern Cross. In the early 1960s, he produced the design of what was to be of the first fiberglass yacht to circumnavigate the earth: the 30 foot Allied Seawind. The 32 foot Seawind II was his extension of the original design based on thousands of successful oceangoing Seawind miles. His design of the Privateer 26 and 35 revealed his love for traditional lines, clipper bows, extended sprits, and counter transoms. A Gillmer design that is close to our hearts at FHY is the Southern Cross 35, Prudence. Prudence has passed through many hands with FHY brokers Bill Day and Scott Taylor handling the sales. Bill has sold Prudence 3 times and Scott has sold her once. With her canoe stern, sensible sail plan and honest construction, Prudence is the epitome of an ocean cruiser. She has crossed the Atlantic twice and has sailed the East Coast and the Caribbean countless times. She is now cruising the Bahamas with her current owners and at least one photo of their trip has already been featured on our blog, the manatee encounter. We can be sure that warm weather is heading our way soon, though it may not feel like it. 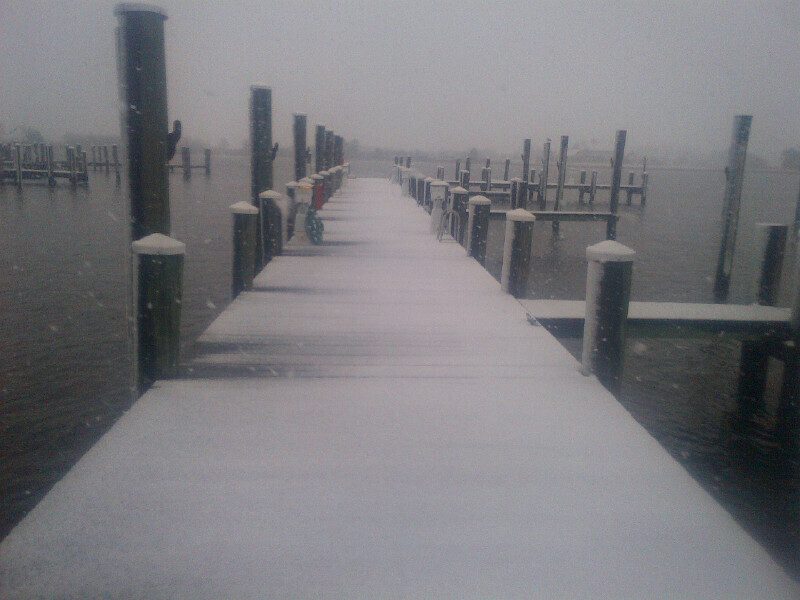 We woke up to piles of snow yesterday morning all across Maryland. A client of FHY found this lovely scene on the way to his Bowman 48 in Oxford. 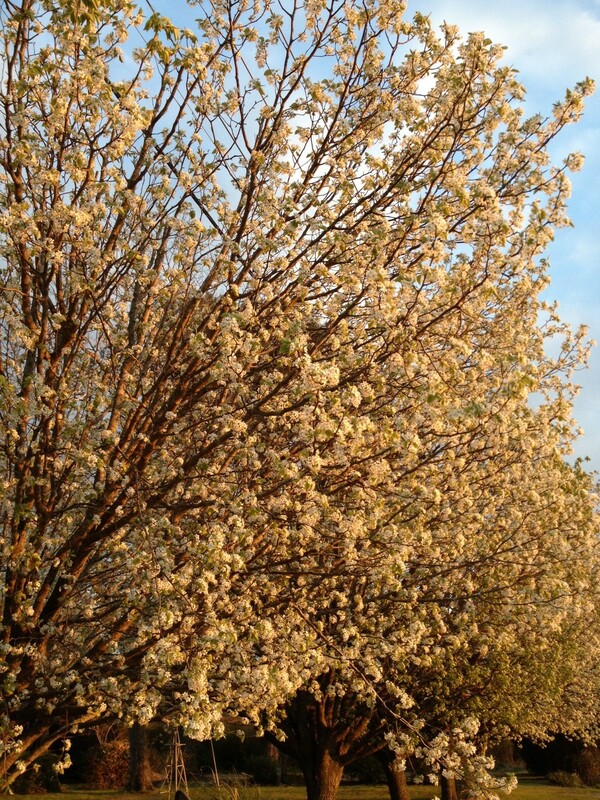 However, just a few hundred miles south, the flowers are blooming. Scott Taylor spent the weekend in Oriental, NC, where he took this photo, on a survey for a Najad 370. Hopefully, we will all thaw out with the 60 degree weather coming next week! This shot was taken by my wife, Jamie, on Shinbone Alley while we were waiting for a weather window for the next leg of our journey south. One of things I like most about the photo is the way our shadows were cast against the pink building on the right. You can clearly see by the giant lopsided silhouette of my head that I was overdue for a trim. 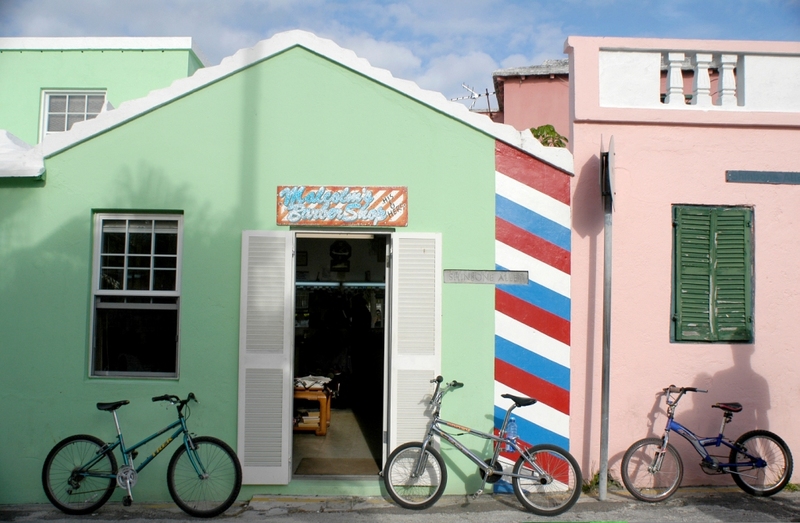 If you can you guess where Malcolm’s Barbershop is located submit your answer on a completed central agency agreement and I will not only sell your boat but I will buy you a dark and stormy at the Annapolis Boat show. 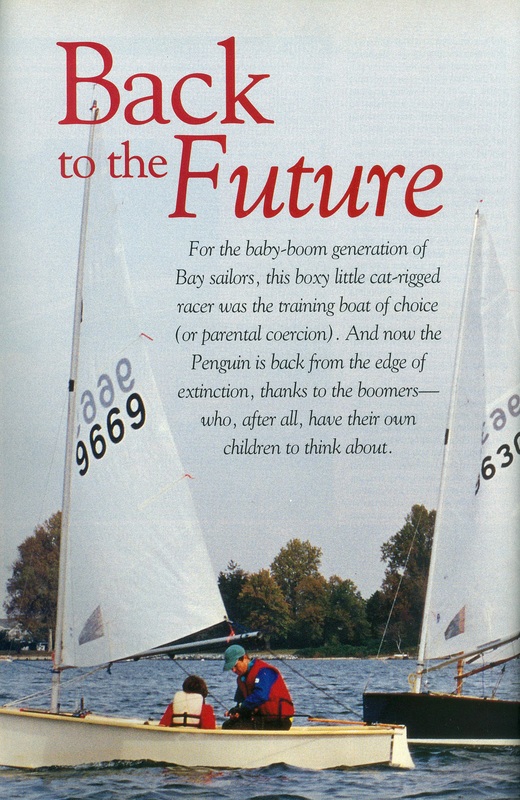 Article from Chesapeake Bay Magazine – FHY Broker, Scott Taylor sailing with his daughter, Chandlee. Several of our brokers enjoy sailing with their children. In the FHY office, we’ll often see Forbes Horton sailing his Herreshoff 12.5 or, as in this photo, Scott Taylor aboard a Penguin dinghy. We are all looking forward to getting on the water as Spring arrives and the weather warms up. UNCAS named for the last sachem of the Mohegan tribe is a N. G. Herreshoff designed Buzzards Bay 18 and is the first one to be built since 1904! There were 5 boats built originally during the winter of 1903/1904 and construction details are scant. 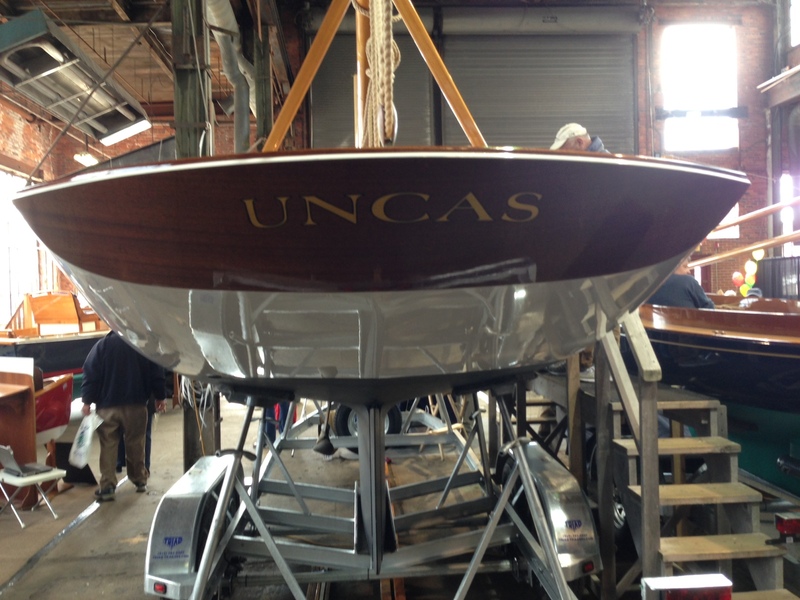 The wizards of wood at Artisan Boat Works in Rockport, Maine built UNCAS for her new owners in Boothbay Harbor, Maine. 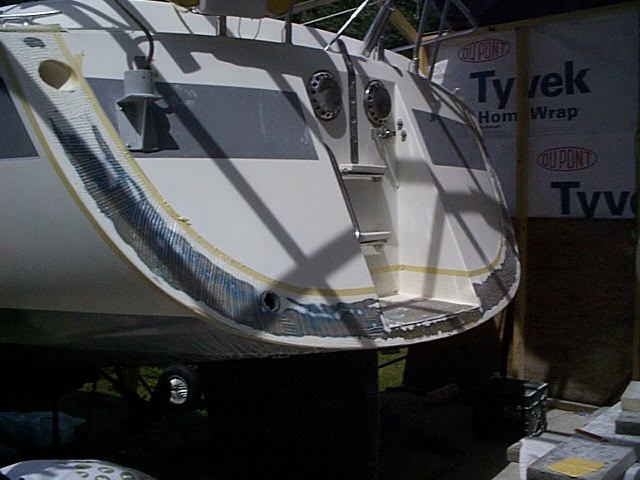 This photo of her transom, taken at the Maine Boat Builders Show by C. F. Horton Sr., exemplifies captain Nat’s genius and Artisan Boat Works’ flawless execution. Bravo. The new owner of this Pacific Seacraft 44 is working with Diversified Marine to put the boats bottom back to factory spec. The light grey material is the remnants (after sanding) of a factory installed barrier coat installed over the beige gel-coat. The vinyl ester resins used by PS, have served extremely well to protect the boats laminate, even after (6) years in the tropics. With modern yacht designers catering to the ever important trend of efficient powerboats the Energy 48 has to be one of my all-time favorites. 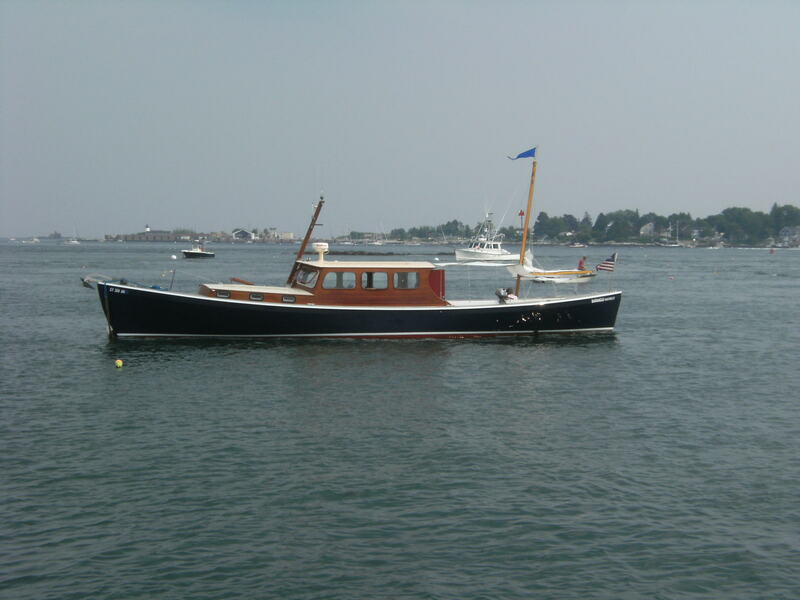 Her exquisite sheer and her brightly finished house would lead one to believe that she is descendant of the venerable Jonesport line of lobster boats made so popular by the great Will Frost. For the oarsmen out there who have had any time aboard an Alden Ocean shell the lines may be familiar. The Barnacle as she, in my opinion, is so inappropriately named, a barnacle being a sedentary creature, is an enlarged Alden Ocean shell built by the late Arthur Martin, the designer and builder of the famed rowing shells. I remember, as a young boy, seeing her running smartly out of Portsmouth harbor at an easy 14 kts with her 100 hp Westerbeke barley ticking over. This photo was taken while Barnacle was at rest a few summers ago on one of my family moorings in Kittery Maine. Before you write a check for an expensive and overly complicated hybrid solar powered motor boat it would be worth looking to the past for efficiency. Yankees hate fuel bills more than anyone on the planet and if you want an efficient hull, look for a boat designed north of the Piscataqua. A client of Scott Taylor, cruising off the coast of the Bahamas, took this beautiful shot from a paddle board. 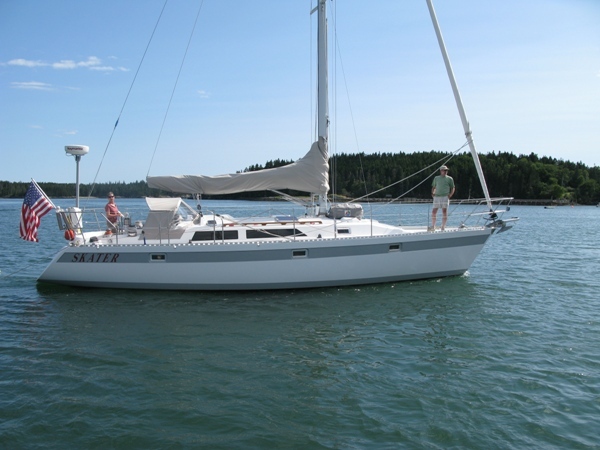 FHY broker, Bill Day recently heard back from some very happy and well traveled clients to whom he sold this 1985 Wauquiez 42.